We are back. The hubster had a business trip in Northern Idaho so Lil’Miss, Lil’Bean and I tagged along. You will be hearing about our trip soon. 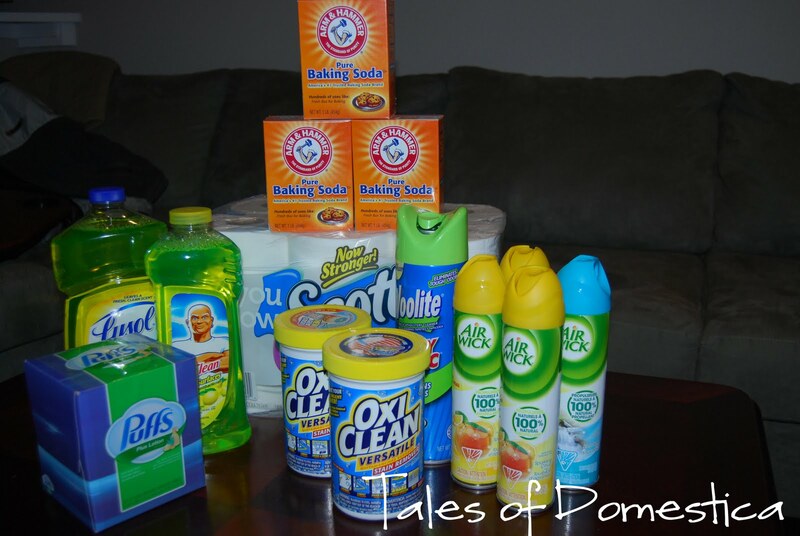 I just wanted to share the awesome deals I got couponing at Rite Aid this week. I pretty much do my couponing at two stores: Albertsons and Rite Aid. There are deals at many stores but I prefer just to keep it as simple as possible. That is why I focus on two stores. Lately there have been great deals every week. This week it was on cleaning supplies. I am not a coupon blog so I am not going to break down every thing but I will post my three favorite coupon blogs at the end of this post if you are looking for awesome resources. I would have just done two transactions but for some reason I was a penny off to earn my $10 back, so I had to buy an additional Baking Powder. I received two coupons for $3 off a purchase of $15 when I did two online Store surveys, that is why I broke up the transactions. Had I not used coupons this would have cost me $32.43 plus sales tax. It ended up costing me $11.60 (that is including sales tax). All 14 items, that is like paying $.83 for each item. But it gets even better than that. 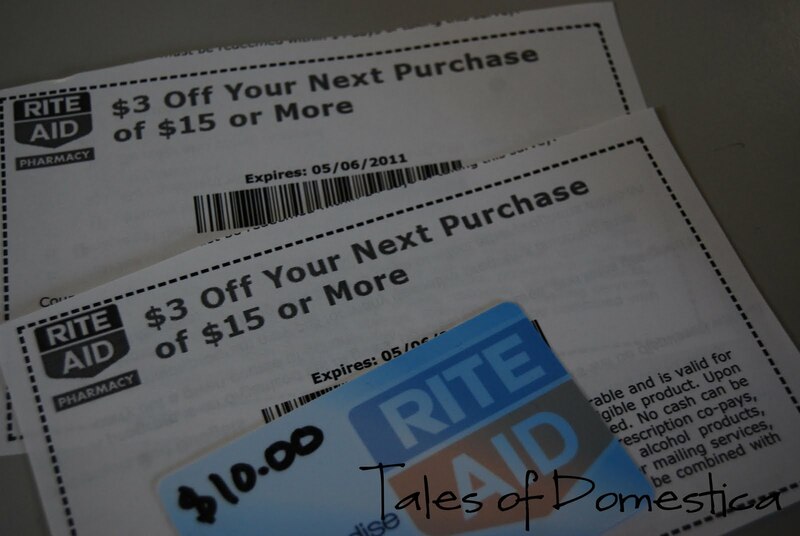 I got back $10 to spend at Rite Aid and two more store survey coupons valued at $3.00 each. So I got back an additional $16.00 to spend at Rite Aid, which won’t be a problem because it is my main source of diapers, and this week formula. Even if I don’t count the store surveys it was like paying 1.60 for all of the items so more like $.11 each. And I still have $6.00 worth of free stuff from my store survey coupons! Super Thrifty, and who doesn’t need TP, tissues and cleaning goods. Oxyclean is my new best friend, I add it to all of my loads of laundry. It is a great stain lifter. I don’t have cable, but last week while I was out of town staying in the Hotel I did catch a couple episodes of TLC’s Extreme Couponing. It is a little too much for me, and really it is a little bit more about hoarding in my opinion. 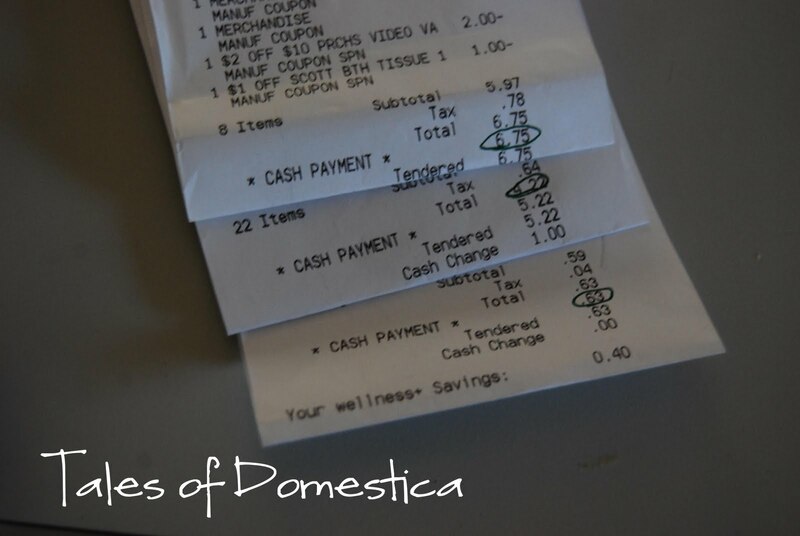 But that is just my two cents.But… I am grateful to be able to save money through couponing! I have watched a couple of episodes too. I think they're hoarding a bit too. I don't believe in wiping out a shelf if I can avoid it(i guess it depends on how big the shelf is)! I think that guy doing it for charity is great!